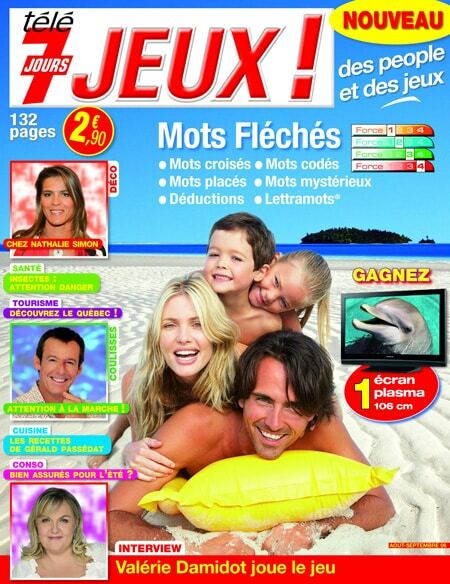 Télé 7 Jeux is a monthly magazine quite popular in France. In the summer especially, their “Mots Fléchés” (Arrowords) can be relaxing while at the beach, at the pool, or on the campground. It can also be quite a fun family affair and can be ongoing for days – such fun! We just learned that Télé 7 Jeux offers some of their arrowords online. We picked this one for you to check out – Mots Fléchés du Dimanche: Mots Fléchés #1. It is Level 1 and we’ve translated some of the instructions below. Enjoy. And if you know a good online Arrowords, please share, we’d love to have an English version as well. Merci!